The Godfrey Pourpoint is a high-quality, form-fitting coat that will enable you to look your best in medieval style, while also allowing you to wear armour without having to don a special arming jacket! Use it to up your LARPing game! Made from a heavy cotton canvas, this incredible medieval doublet can be worn as a regular piece of apparel or as a gambeson under armour! Detachable arms let you convert the jacket into a vest, providing a larger variety of wear from one piece of apparel! The laces at the front of this incredible piece of clothing are tipped with gold colored metal, further enhancing the wealthy aesthetic of this piece. 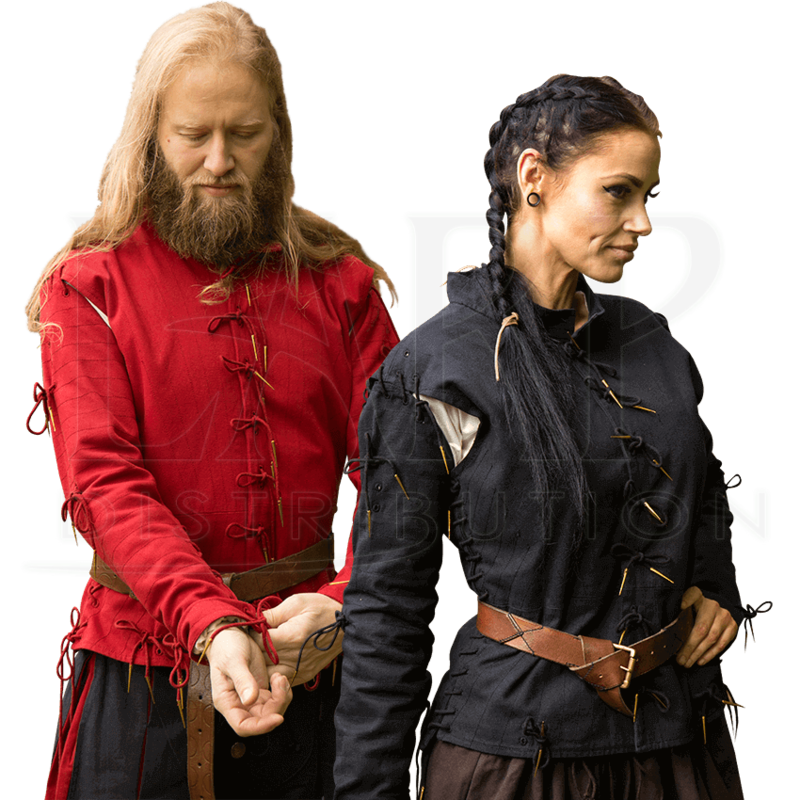 Bring a rich flair to your LARP outfit with this wonderful medieval doublet and make your friends jealous!